PlantGeek is a research team based at the University of Agricultural Sciences (UASVM) in Cluj-Napoca in Romania. 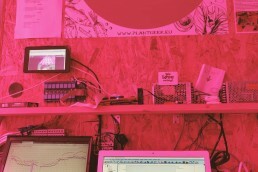 They are big protagonists of high-tech ecosystem farming (a.k.a. 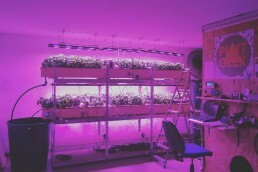 AMI-farming), their speciality being automation with aquaponics. They are growing basil and catfish, and are using Arduino and Raspberry Pi to collect and analyse data. With the data they are building models that can predict the yield and quality. Of course, they don’t want to stop there – they want to use this research to expand to bigger and more complex ecosystems. We are extremely lucky that PlantGeek understands that in order to make this world truly sustainable, we need to share and cooperate. Hence, they agreed to join a Google Hangout where they gave a presentation and where many people asked a lot of questions. The sessions hosts were Zjef Van Acker & Alessandra Varotto, with special AMI-guest: Seppe Salari (Smartcrops).